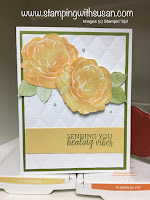 I made this card for the March Simple Stamping Challenge from Stampin' Up! 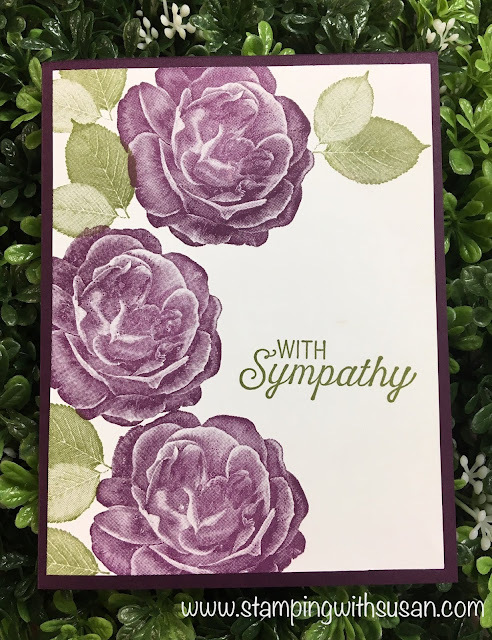 In my Facebook post I mentioned that I have been needing sympathy cards lately. Within a couple of days from that post, we received a phone call that a friend's mother passed away. Dang.